The legal landscape of asbestos liability may soon change dramatically – and not in a way that benefits the plaintiffs suffering asbestos-related diseases, such as asbestosis and mesothelioma. For several years now, lobbyists for the asbestos manufacturers and industries targeted for litigation due to negligently exposing workers and others to the toxin have been pushing the passage of a law that purports to “further asbestos claim transparency.” Now, that sounds like a nice measure – who doesn’t want more transparency in anything? However, the reality was these companies wanted to make it harder for plaintiffs to seek damages from more than one asbestos manufacturer for their injuries, even though we know these diseases can arise from exposure to the substance from multiple sources. But the bills were never going to get very far, at least not while President Barack Obama was in office, because Obama had vowed to exercise his veto power, even if the measures passed both the House and Senate. Now, representatives are hoping President Donald Trump will be more receptive. That’s why they have introduced H.R. 906, or the Furthering Asbestos Claim Transparency Act of 2017, is one of the first bills to have been introduced this session, with Republicans from several different states backing the bill. 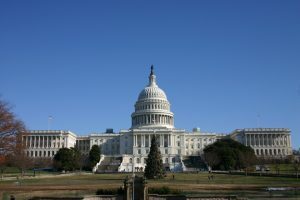 The purpose of the bill is to reportedly improve transparency in the asbestos trust system, where about 100 or so firms that have been hit with repeated asbestos lawsuits filed for bankruptcy and had to establish bankruptcy trusts. Victims file claims for damages with these trusts, rather than pursuing remedy in the civil court system. This newest version of the bill contains the exact same language as earlier legislation that was introduced last year, but did not pass. It’s possible the bill could be folded into the larger Fairness in Class Action Litigation or some other bill. This was the approach taken with the FACT Act last year. Although the measure passed in the House, with votes divided largely along party lines, the U.S. Senate failed to move on the litigation, even after numerous hearings. Even if it had passed the Senate, supporters knew Obama planned to veto it. Earlier versions of the bill, which were first introduced in 2013, have always died in committee. But now it seems there is a real chance this one could pass, especially given the rosy picture painted by its supporters. For example, the bill’s sponsor asserted that when injury lawyers bring “false exaggerated claims” to the asbestos trust, they are “taking assets away from deserving victims.” He called this “abuse” and the legislation’s effort an attempt to “shine light” on the practice. But of course, never mind the fact that the measure is going to make it harder for plaintiffs to collect damages from the trusts, which have so far paid out about $17 billion. Plus, if the true goal is transparency, why not level the playing field on both sides by barring the confidentiality agreements asbestos defendants so often insist upon in asbestos litigation. Still, FACT supporters are likely to find an ally in Trump, a real estate developer who has lauded the use of asbestos on numerous occasions. In 2012, he tweeted that the collapse of the World Trade Center Towers could have been prevented had asbestos been used. In his 1997 book, “The Art of the Comeback,” he wrote that the anti-asbestos movement was the work of the mob.